Game three of the Stanley Cup Western Conference Finals will be played today, Tuesday, May 16 at 8 p.m. E.T. The series is tied at one game apiece. The first two games were played on the Ducks’ home ice. The first meeting went to the Predators 3-2 in overtime. 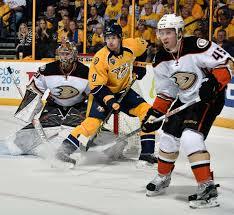 In the second game, the Ducks dominated and beat Nashville 5-3. Here’s our Ducks play Predators NHL West Finals game three pick. Nashville is at -146 and Anaheim at +132. The over/under is -129 over five goals and +117 under. In game one, the Predators dominated the Ducks when it came to shots but Anaheim goalie Josh Gibson really stepped up and kept his team in the game. But even after the Ducks tied the game to send it into OT, all of Gibson’s great saves were not enough and Nashville took game one on an overtime goal. Game two got chippy. 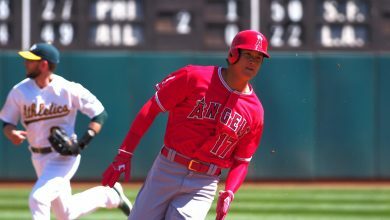 This was partly due to the fact that it was tough for Anaheim to make any headway in the game as the team found themselves down three goals to one in the second period. Then the Ducks poured in three unanswered goals to go ahead four to three. They scored an empty-netter in the third to finish off the Predators. In the game as tensions got higher and higher, Anaheim’s Ryan Kesler and Nashville’s Ryan Johansen chirped and exchanged blows with their sticks. Predators forward Filip Forsberg, who is not know for being physically aggressive in an extracurricular manner, put a stick to the groin of the Ducks’ Jacob Silfverberg. There was no call as the refs missed that infraction. 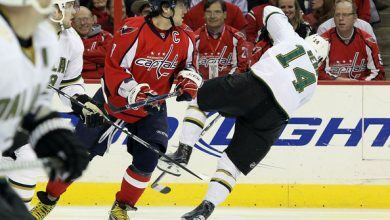 They also missed a whack to the back of the legs of Nashville defenseman P.K. Subban late in the third period. 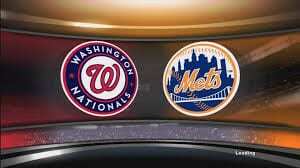 This most recent game should affect tonight’s contest. Anaheim puck-stopper Josh Gibson saw 33 shots and saved 30 for a save percentage of .909. He’s played well in both games and you can expect him to do so tonight. Nashville goalie Pekka Rinne did not have a good game. He allowed four goals on 26 shots giving him a save percentage of .846. He has to get his mojo back or the Predators will have a tough time taking game three. For Anaheim, look for Silfverberg to continue to threaten to score. Center Kesler, who had an assist in the last game, will want to establish himself right from the start. Center Ryan Getzlaf, who has eight goals, 10 assists, and is +9, can be a difference-maker tonight as can center Rickard Rakell (6 G, 5 A, +12). Nashville’s Viktor Arvidsson is a dangerous player. He had two assists in the second game. Centers Forsberg and Johansen need to step up and score tonight. Defenseman Mattias Ekholm, who has six assists in the postseason and a rating of +10 will be asked to contribute on D and on offense. This game could go many different ways. We’re considering the fact that Nashville is at home and that may offer them an edge. 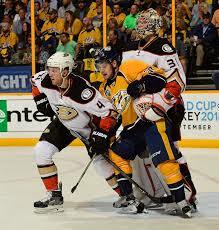 We also expect the Predators to have a short fuse and for this to be a very physical game. 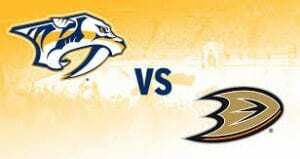 Our Ducks play Predators NHL West Finals game three pick is Nashville and we like the over at 5.0.